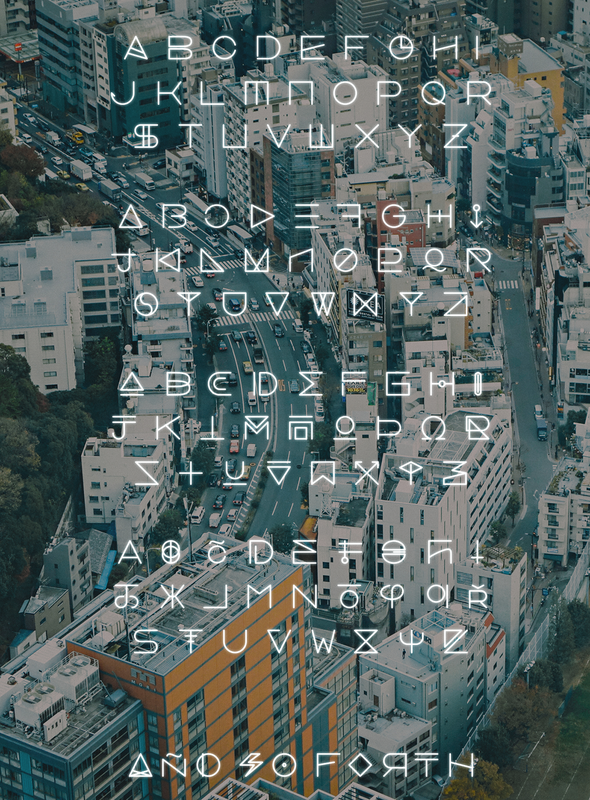 Eiforya is an experimental futuristic icon-like monoline geometric font created by Manh Nguyen and inspired by alien's language spreading over sci-fi films, nonetheless, it's created using stylized letters from several languages including especially exotic native language to help build the alphabet. Although Eiforya is supporting English (due to the reason that many languages' characters are combined inside and its bizarreness), it will fit your hipsterismic and mysterious designs like posters, tittles or website banners, etc. 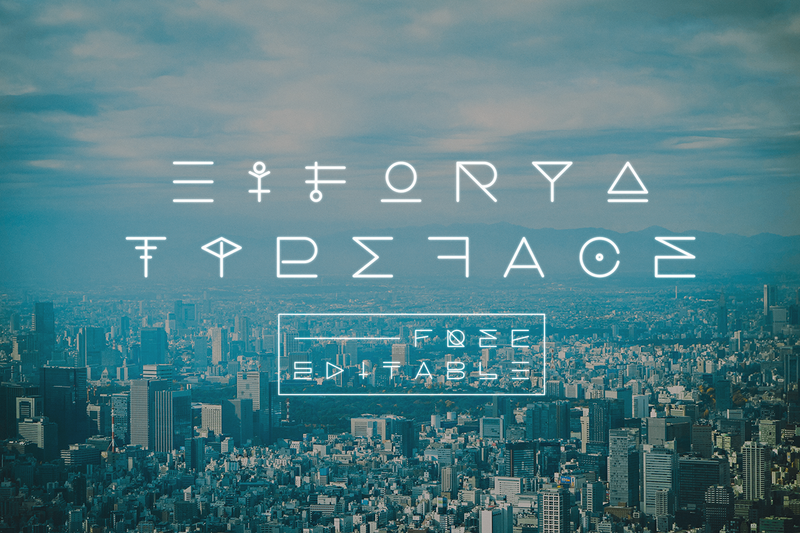 Eiforya has an enormous table of glyphs with vast choices of alternative letters. Eiforya is free for both personal and commercial uses with Illustrator's format version whilst the font format is coming soon, and yes, if you guys really like this one. traodinarily beautiful artworks, posters, tittles, etc. Several set of 26 characters from the standard alphabet are included inside this font. Eiforya is now available for download freely below after pressing big blue Like button as an appreciation for me! You guys still may want to have a try on other free fonts on my portfolio like Classique Saigon, Arcadia or Luciana etc. Let's check 'em out here! Here is my new project exhibiting my new free experimental typeface "Eiforya". Download link is available in this project and hope you guys like it.